In recent decades, more education has meant higher salaries. But will that be the case going forward? Part of any financial literacy course in high school should look at student debt in relation to the earning power of a chosen field of study. This is especially true of graduate school, where loans can really pile up. On the surface, the math looks fantastic. Over their lifetime, those who earn a graduate degree, on average, earn $400,000 more than those with no more than an undergraduate degree, according to researchers Anthony P. Carnevale, Stephen J. Rose and Ban Cheah at Georgetown University Center on Education and the Workforce. Add findings from the U.S. Bureau of Labor Statistics that show that more education means you’re more likely to stay employed longer, and graduate school starts to look like a no-brainer investment. But dig deeper into the Georgetown report and you see that the career earnings gap narrows for many occupations—as well as for women in some cases. Do graduates of a program they are considering get a job quickly? Do they get regular raises about the same size as the monthly cost on their loans? Is a grad degree required to break into a field? How can I reduce the cost of an advanced degree? Answer the first set of questions by finding the going rate for a job on a site like Payscale. Use this calculator to estimate future loan repayments. 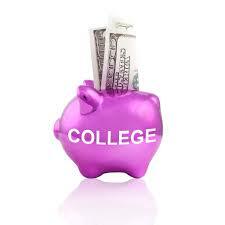 If a dream job will not support loan repayment, a student will have to look for ways to trim the cost. In our book, O.M.G. Official Money Guide For College Students, we talk about how to afford student loans by making the most of grants and scholarships, going to school part-time and working part-time, turning an internship into a paid graduate degree, or taking advantage of a work-sponsored graduate school plan. Only when a student can afford the costs of their education is their dream job really a dream come true.